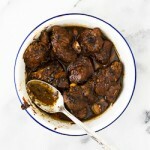 Today is a special day as I mark my blog's first ever recipe that I'll be sharing courtesy of my friend Jay. 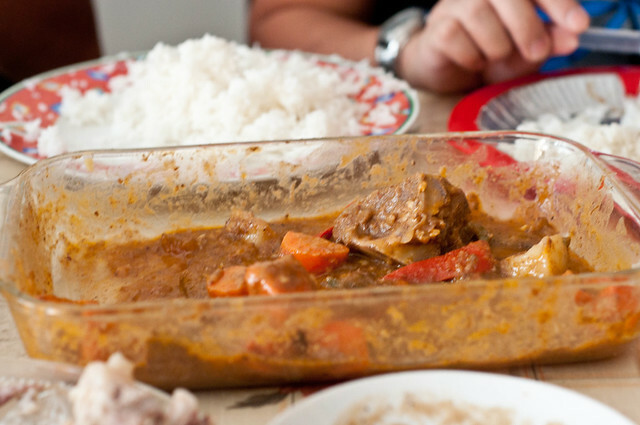 This recipe came about when I visited him in Bulacan and we just felt like we had to whip up something like we always do each time I visit. 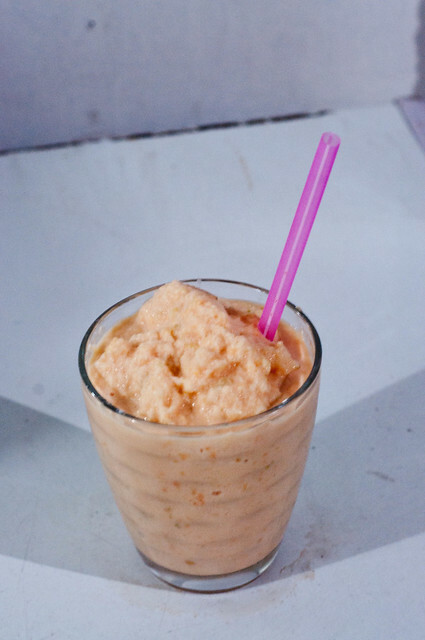 Have you ever done a shake without using any ice? Well this is the first of its kind. So we looked into his fridge and all we had was some evaporated milk and frozen melon. We actually tried to defrost the the fruit but since it was as hard as a rock we just jumped in and put it in the blender. Peel the melon from its skin, take the seeds out and refrigerate until it is completely frozen. Mix the evaporated milk and sugar in the blender. 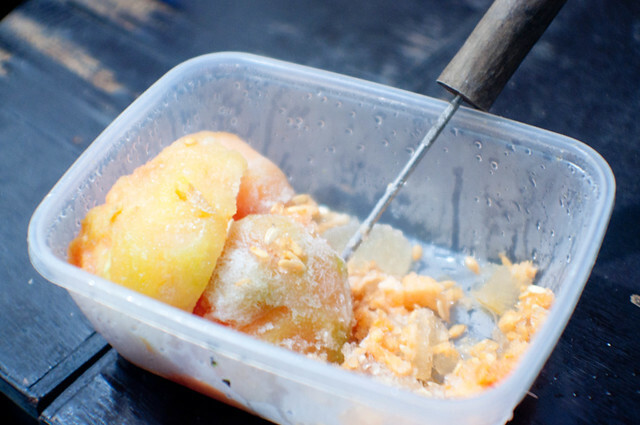 Cut the frozen melon in small cube like sizes before putting it in the blender. Blend until mixture has a smooth consistency. You may adjust the sweetness by adding more sugar or condensed milk. Pour the mixture in a glass and top with whipped cream and a dash of cinnamon if desired. I actually liked this recipe so much because as the beverage warms up you don't get that bland watery part so much because it doesn't have any ice in it. One more thing that I should mention is that this is very rich in fiber as you get more of the fruit compared to ordinary shake. I am very sure this would be a big hit to both children and child-at-heart people! By this time you must have stopped groaning about how full you are from all of the feasts that you've been to these past few days, or maybe not. But one thing is for sure we've all been willingly stuffing our selves with some good food these season. 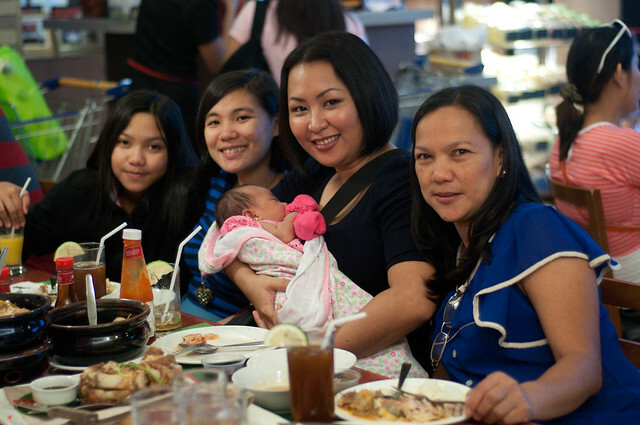 My family, well clan for that matter is no exception to this great Filipino food tradition. Every year we go to our elder's houses and eat at each and every house. 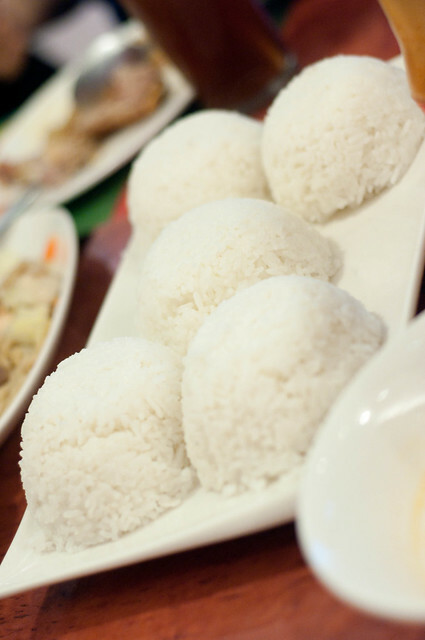 Unfortunately this year we've lost my lolo who cooks my favorite morcon something that I will miss. 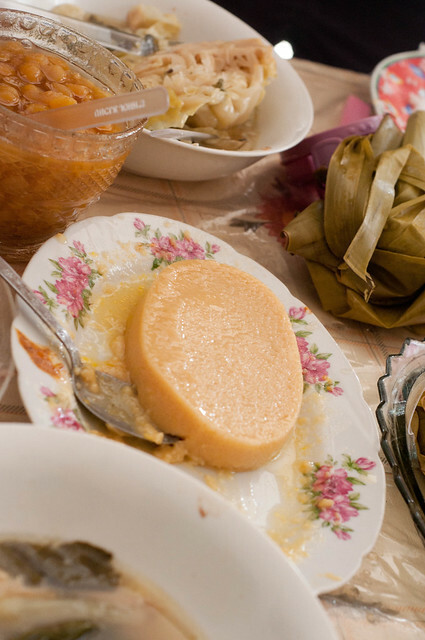 This year however, we still have the star of the table the one that takes the final bow and the one that everybody is racing to finish eating so they wont be left with none, The Leche Flan. I guess by the looks of the table you've got an idea now of how much my family loves food. This is what bonds us what makes us stay connected. Thank God for food! Before anything else and you go on reading this post, let me just state first that this is not a review post. I am not reviewing the food but just sharing the feast that we just had at Max's Restaurant. So I ate, tasted and drank why not review the food as well? The thing is yes I tasted the food, but I wasn't there to review the dishes that they served. I did not pay attention to how good it was, I ate and converse and engaged my self with the people around so I guess that it would not be fair to review the food. Yes, I'll be saying good or not so good or whatever comment but none of them really is valid as far as I am concerned. So let me share the experience in dinning instead! 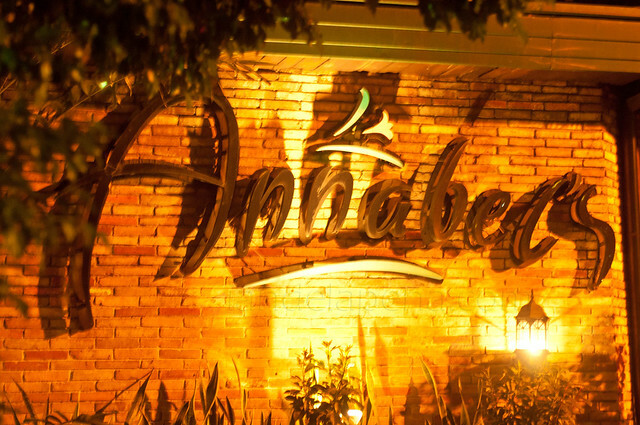 The food isn't really bad to start with but the service was just okay. 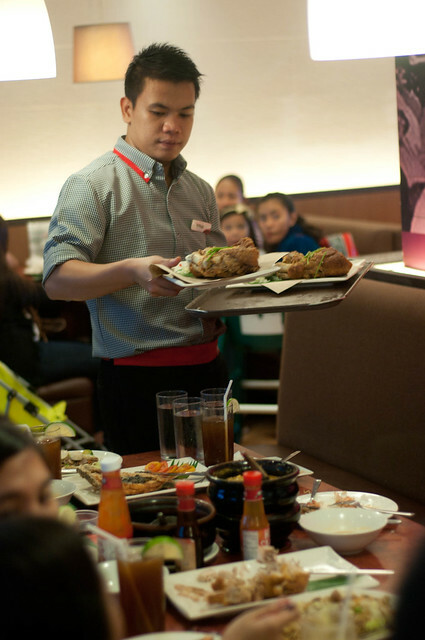 We had multiple waiters and waitresses attending to us which some might think that is a good thing right? But for me it doesn't, the more people attending to you makes it more confusing when you follow up or ask for additional orders. The first batch of rice that we had didn't look as good as this one so I took another photo of this new batch, the first one looked like something that your mom would serve on the dinner table. Over all the feast that we had in Max's Restaurant was great. The food kept on flowing till it felt like that there's so much food on our table than what we can handle. We actually called for reinforcements to help us eat the rest of the food. LOL! Now you must be thinking why do I have so much photos if I was not prepared for a review. 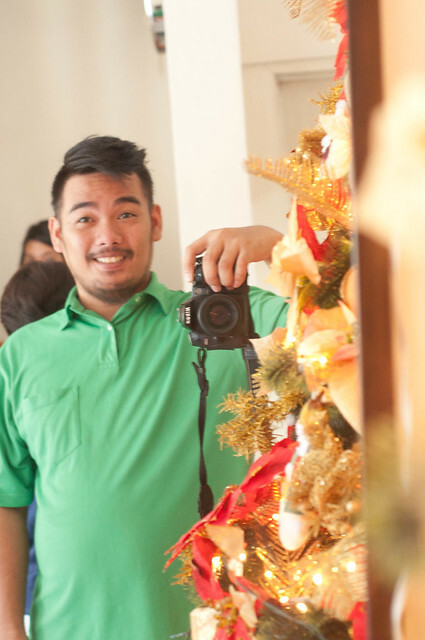 Well it was because I was the official photographer that day, it was my niece's christening so there you go. 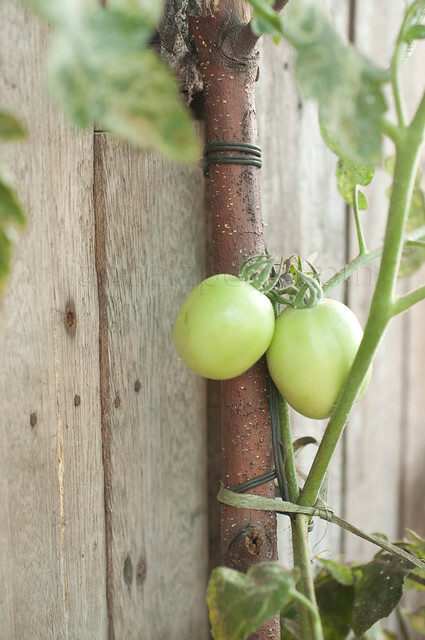 They probably are one of the easiest vegetable or fruit to plant. The tomato in the picture is actually planted in a pot around our house. My dad plants them and they really don't need that much attention just helping them with water and some support as they grow, their stems are really soft. What is good about planting your own vegetables and/or fruits is that you are sure of what is in it no chemicals or what so ever. So go ahead and plant something you'll never know you've always had that green thumb after all. Thanks to a movie event I was able to finally try their food which I have always wondered how it tastes like every time I pass by their restaurant for coffee (the restaurant is just right beside Starbucks). We were served a soup first, which was quite ordinary, something that someone who knows how to cook can do. 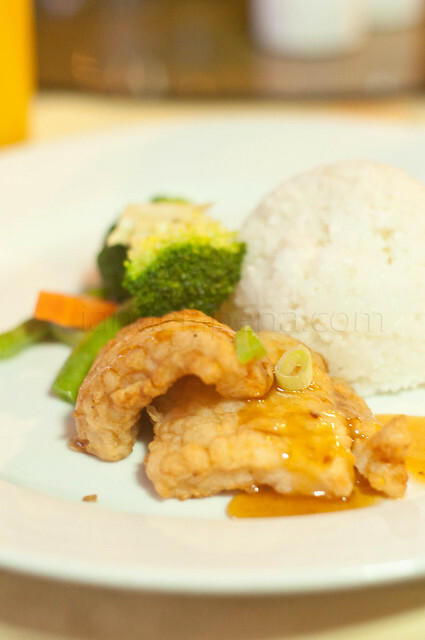 After finishing with our soup the main course was then served, a cup of rice some vegetables and two slices of an fried with some flour coating. What special about this is the sauces that gives it a sweet and sour taste. I like the way the sauce was made because it has a good balance of both taste, not that sweet and the sour taste is not over powering. I guess I would have to try more of their food as this dish that I had may just barely scratched the surface of their menu. So I guess I should come back for a real course. 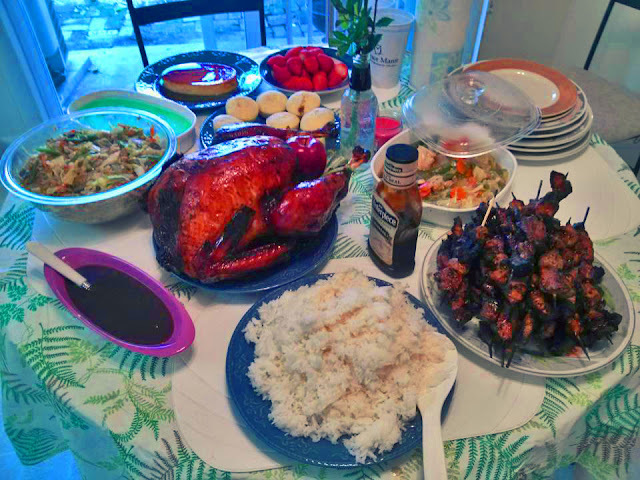 Whenever there is a celebration or holiday there is food, that you can be sure of in any Filipino family's dinner table. We even say "Kumain ka na ba?" (have you eaten) almost synonymous to "How are you". Toping my list is no less than my favorite. Hahaha I know I am biased LOL! but this food is a sure way to put a smile on every kids face, just make sure that it is sweet though. =) I can never get enough of this pasta dish so yes, Thank You Italy! 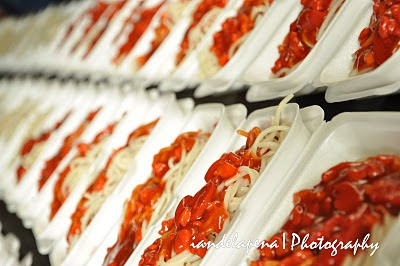 But keep in mind you don't have to stick with just spaghetti, in our family we usually serve two pasta dishes one red sauced (spaghetti) and the other white sauced (usually carbonnara). Sweet and tender, they say the best hams are made up of just one part and cut and you can check it if it really is by checking the net marks. Hams made up of scrap parts of the pig cannot have such marks as it wont hold up by it self. This holds a special place in my heart, hahaha! but really yes, The perfect lecheflan would look like a cake with no pores and so far I have only seen a few who can make such and I am so lucky to know two of them, my aunt and cousin. Unfortunately they are in US now and I haven't tasted their legendary leche flan for a while now. There are so many variations of salads, but the one that I can eat the most is a Macaroni Salad. I have really good memories of eating this food, specially that when my mom makes them it really tastes like the ones that we eat in Wendy's. 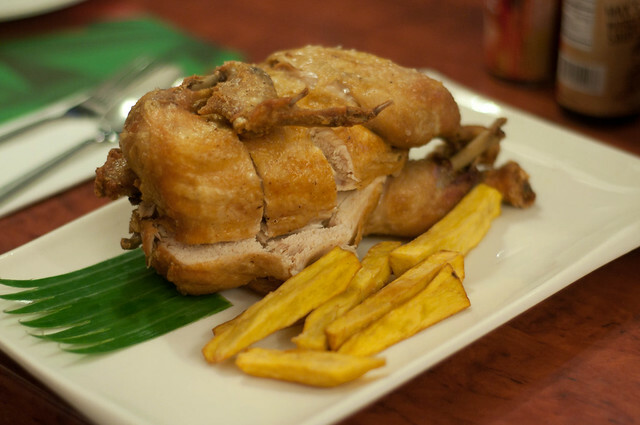 Another childhood favorite of mine during feasts are fried chickens. As a child we weren't rich, so we only get to taste such food on birthdays and holidays. Which I think is also a good thing because we learn to appreciate food more. Lumpia what!!?? Spring Rolls for those who are not familiar with the name. Meat wrapped in sheets of thinly cooked egg and floor then deep fried into a perfect golden brown. 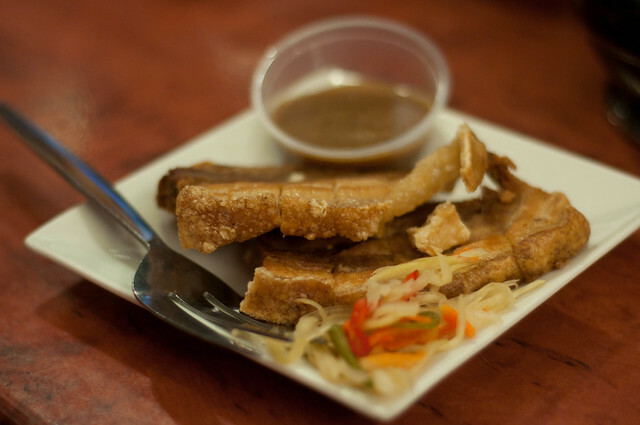 Lumpia is a great finger food and or a beer match. By this time I guess you would notice that we just love meat? but yeah we do love meat. 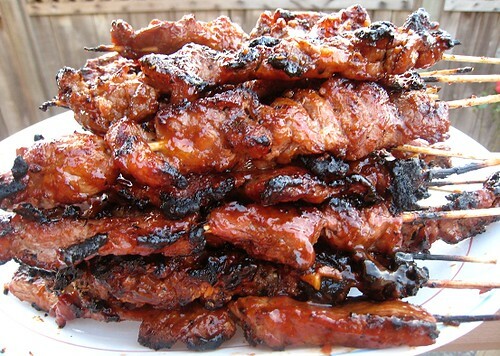 Barbecues here in the Philippines are mostly well done and we do love those carcinogenic burns on the meat, makes it more tasty! When my lolo was still alive we always get to taste his embotido or morcon which are the best that I ever tasted anywhere. Embotido and Morcons are delicate meat sausages filled with either egg, fruits or some more meat inside, I can never get enough of these. As Anthony Bourdain would say it this would be the best pig that you would ever taste. I specially like the the ones that I tried in Carcar they tasted okay even without any sauce. To top it all off a good chocolate cake is nothing but proper. I like the black forest cake the most because of the complimenting tates of cherries and the dark chocolate. What I don't like about it is the tonsilitis I get the day after. LOL! What ever you decide to put on your Christmas dinner table what is important is that you eat with your loved ones, the ones that matter most. It is not the food that matters its the people whom you share them with! They say that you can never say that you've really been to a place unless you have tasted their food. 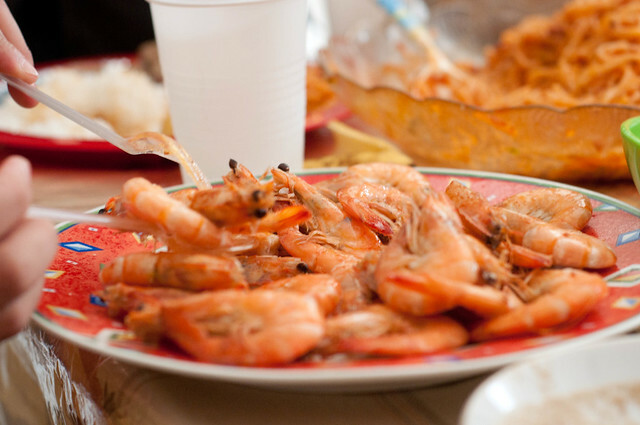 On a recent trip to the Queen City of the South I have made a list of food that you really must try to get a real taste and vibe of the island. 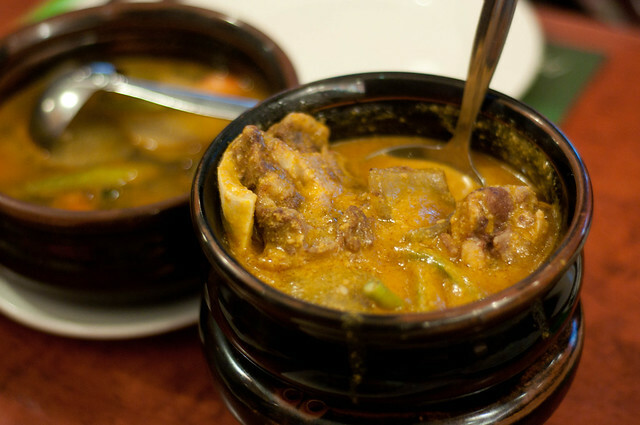 So without further-a-do here's my must try food in Cebu City. 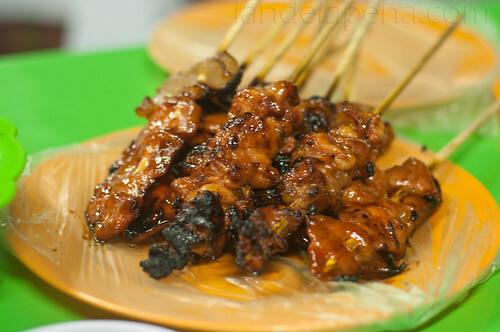 This famous grilled foods food court is located just right beside the Chong Hua Hospital and Robinsons Bldg. (not the mall) along Fuente Osmena Circle. 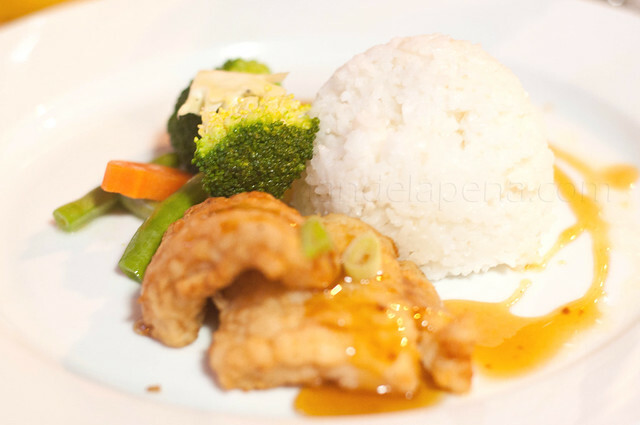 A wide range of sea food, pork and chicken dishes can be chosen from the various stalls that offer different menus. 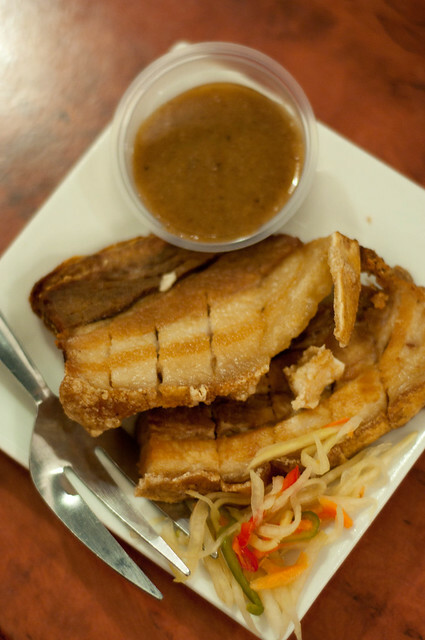 Cebu is known for the best lechon in the country but the question is where to get the best lechon in Cebu? Well where else but in Carcar! Carcar is about 40 kilometers away from Cebu city but I tell you traveling to this southern city is a breeze. Just go to the Cebu South Bus Terminal, take an air conditioned bus for just Php 50.00 and get off at the rotonda. 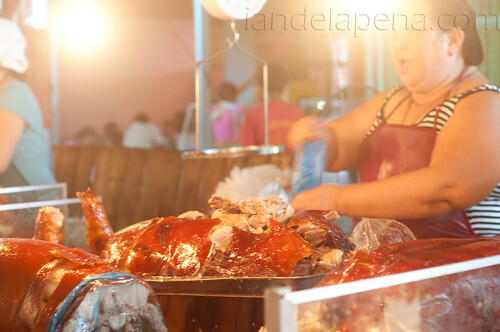 March your way to the public market and pick your choice of lechon vendor to buy from. 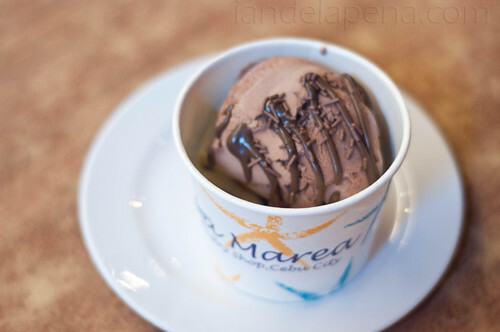 Probably one of the best pastry and desert shop in the country this ice cream topped hot brownie is best made here in La Marea. Located inside the Asiatown IT Park any one can easily find their shop as it is quite famous in the area. I love the idea of the Puso. 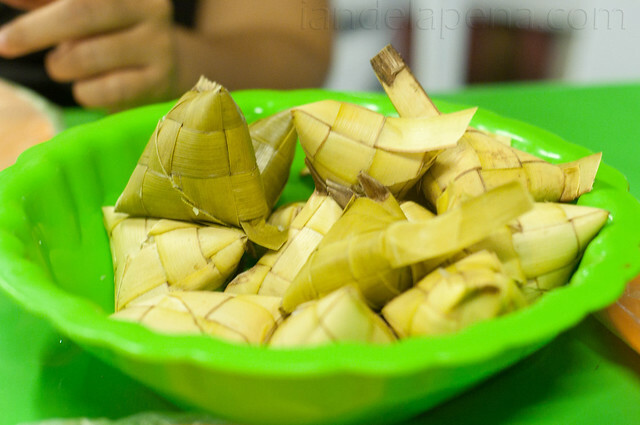 This is basically just rice wrapped inside weaved coconut leaves, but I included it on the list because how ingenious it is, it offers convenience for any one on the go and you wouldn't miss this food because it is offered in almost any food store in Cebu. At night Katipunan avenue in barangay Tisa in Cebu turns into a street food haven with a variety of food along the street this area is still dominated and famous for their Siomai. I must say that their siomai is really delicious I could eat loads of it if not for my kill joy stomach. lol! 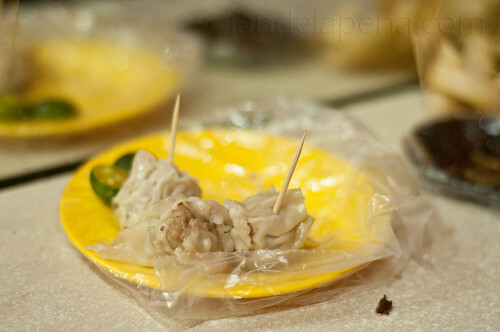 Tough you can buy siomai sa tisa on other parts of the city, I would still suggest going to brgy. 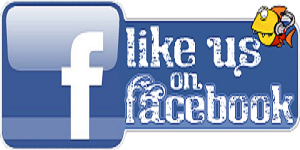 Tisa for it offeres a different experience.